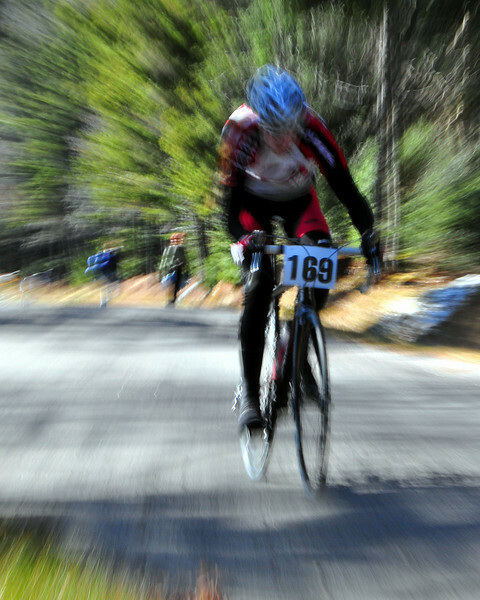 Sam Anderson of Kearsarge NH, competes in stage 1, "The Toughest Two", of The Porky Gulch Classic - a 2 day bike racing event with 3 stages. Here, Mr. Anderson, 19, powers his bike two miles up the Mt. Washington Auto Road, on Saturday, November 7th, racing to a 7th place finish in the Elite class division.